To say that a lunch with 12 like-minded men and women with ADHD, stimulated new ideas and fun, would be a big understatement. On January 21, The Sydney ADHD Meetup Group ran its first activity for 2018, called Start Your Year Well! 2018's First Meetup + Lunch + Spectacular Views! The afternoon was held at the Bangkok Sidewalk Thai Restaurant in Milson's Point and boasted spectacular harbor views. For most of the guests it was their first Meetup but this was no problem. The atmosphere was friendly. Attendees quickly found interest in each other’s ‘back stories’ , immersing themselves in each others experiences. ADHD Information, ideas and tips were also exchanged. Click here for details + all pics from day. These popular activities will be run across 2018. 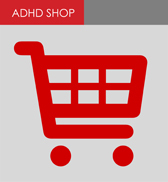 Their aim is to provide people with ADHD a good place to relax, mix and discuss their experiences. The meetup group invites all adults who have ADHD to register on their website (free) and see what its all about.